How do I find my Exchange server address? To help you locate your Microsoft exchange server address, look for the program you currently use to access your email. If you have your work email on your iPhone (not through webmail) you can find your exchange server address in your mail app settings. 1. In "settings" select the "mail" section. 3. 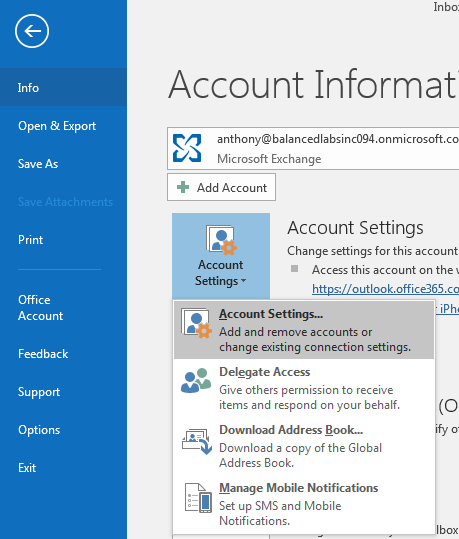 Select the account that relates to your work email account. 4. In the area labeled "Exchange", select the account. 5. 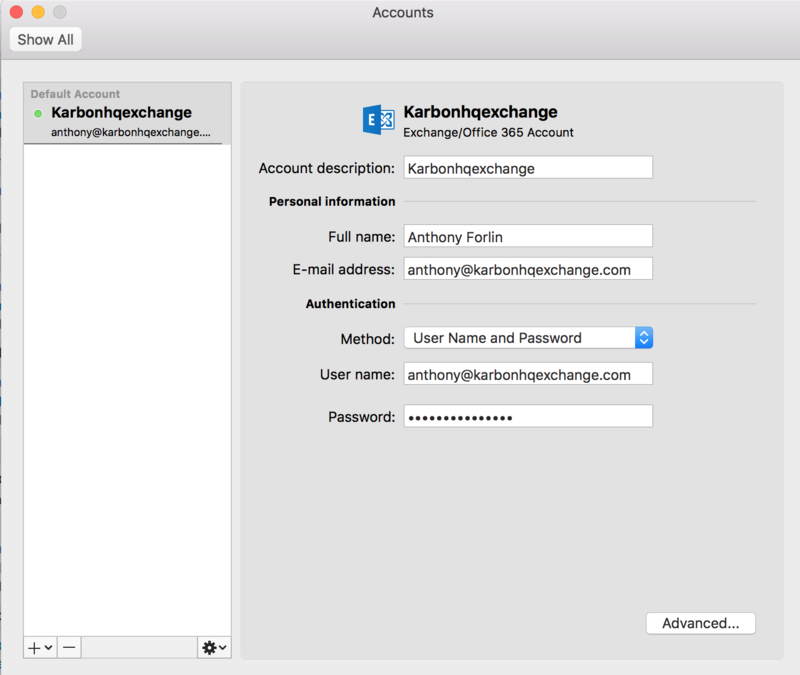 The address recorded in the field labeled "Server" is the Exchange Server Address you need to provide when logging into Karbon. If you're using Outlook for Mac, you can find your Exchange server address in the following way. 1. In Outlook open "Preferences"
3. For your work account select "Advanced" in the bottom right-hand side. 4. In the "Microsoft Exchange" section copy the address in the "Server" field. This is the server address you need to add when logging into Karbon. 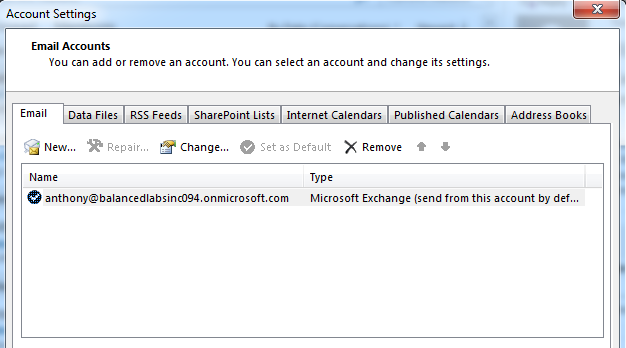 If you're using Outlook on Windows you can find your Exchange server address in the following way. 1. 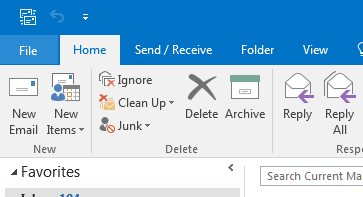 In Outlook select "File". 3. Double click the email account from the list. 4. In the field labeled "Server" copy the address. Note: if the server name only uses letters and numbers in the form of an email address, use that text instead of the full https://xxxxxxx/ews/exchange.asmx address. Note: this won't be the url that you use to access your email via webmail.